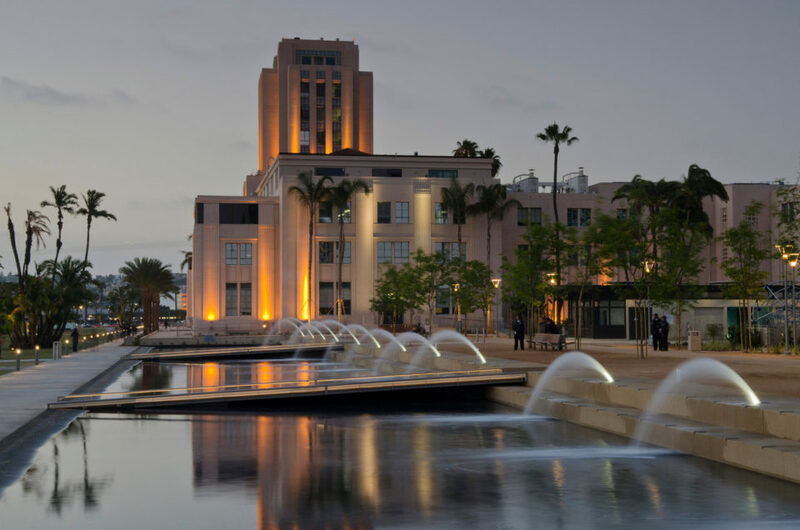 Our jewel on the bay, the historic County Administration Center, will soon undergo major renovations. The structure dates back to 1938 and to help the landmark weather another 81 years, the County will make significant upgrades, inside and out. General Services is working with Turner Construction Company and Sillman Wright Architects to conduct the five-year, $108 million project. Work to transform the building’s lower level into temporary office space is already underway. Floor by floor, the structure will see changes. From new ceilings and LED lighting to exterior windows that will be repaired or replaced. The CAC will get new emergency generators, upgraded fire alarms and sprinklers, and a uniform heating, ventilation and air conditioning (HVAC) system. The building’s exterior will get a new coat of paint. Historical elements like the marble, mahogany wood and original light fixtures in the hallways and lobby won’t be affected. The three murals in the Board Chambers will also be protected but when completed, the interior will feature new seating in a different configuration, a new dais, different flooring and an enhanced A/V system with new cameras and monitors. The work requires the Board of Supervisors meetings to temporarily move to a new location. After Aug. 8, the Board meetings will take place at the County Operations Center (COC) Hearing Room through December. In order to accommodate this shift, the COC site needs audio/visual upgrades to record the Board meetings and those changes will start in May. That means the County Planning Commission meetings will move. Those sessions will relocate to the CAC Board Chambers from May through June. Much of the CAC construction work will be conducted at night so normal business isn’t interrupted. But employees on each affected floor will move to temporary spaces while their offices are under renovation. In June, the Clerk of the Board’s office will move from the fourth floor to the lower level. People coming in for passports and other COB services will be directed to the new location. In the fall, work will begin on the south end of the fourth floor. The construction will work its way down, generally one floor a year, until the project is completed. The overall construction project will limit space for department meetings. The County is leasing large conference rooms in hotels within walking distance. For room availability, check here. General Services will provide details on office relocations and other changes to CAC employees in quarterly newsletters. The project is scheduled to wrap up in 2024.